Combination and P-shaped conservatories are everything their titles suggest. They offer you more space and greater levels of flexibility by combining two styles - such as the Georgian and the Lean-to - or by adapting an existing style so that it can be used in the shape of a 'P'. 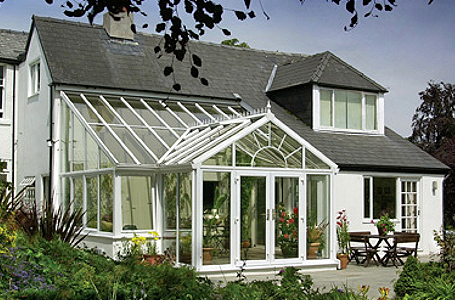 Should you find that a P-Shape or Combination still does not provide the unique design solution you are looking for, K2 can also create a totally bespoke conservatory tailored to your own specific needs. Irregular shaped buildings are best serviced by using a combination of different designs.